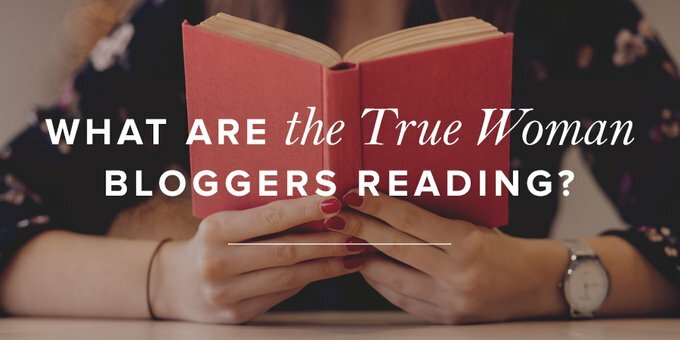 What Are the True Woman Bloggers Reading? If you’re looking for some books to read, this post is for you. We recently asked the True Woman bloggers: “What are you reading and loving?” They were excited to share lots of recommendations with us (and you)! Maybe you’ll find some new gems for your next library run or online book order. PS: If you order any of these books by clicking the affiliate links above, you’ll be supporting this blog in a small way. Consider it a way to feed your love of books— and help the True Woman blog at the same time! Note: All recommendations are solely those of our bloggers. Listings do not imply endorsement. From an Avid Bookworm: What's on Your Nightstand?